When you need to keep your valuable inventory organized in a single, secure location, Liberty Movers has the solutions for you! We offer flexible, high-quality Worcester retail storage services. Your items will be carefully packed away into secure storage vaults, sealed tight, labeled, and stacked in our state-of-the-art warehouse facility. For storing seasonal merchandise, overstock items, display cases, and more, we have the resources to protect your retail inventory and equipment from damage and loss for as long as you need! 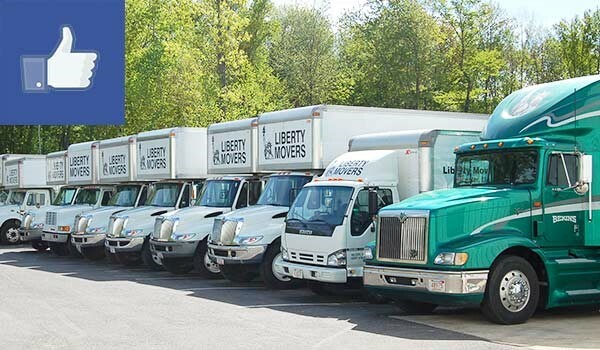 When you need reliable and economical retail store storage, you can’t beat the solutions offered by Liberty Movers! Since 1920, our family business has worked hard to offer services home and business owners can rely on. We are BBB accredited and members of the American Moving & Storage Association, both of which demonstrate our dedication to superior service and customer satisfaction. Learn More About Our Moving and Storage Services! Liberty Movers offers a wide-range of moving and storage services. We also provide Worcester specialized moving should you need professional delivery of high-priced or hard-to-move items to and from storage, or anywhere else! To learn more about our solutions, call us today to speak with a friendly professional, or make use of our convenient online form right no to request your free, no-obligation estimate.